I am loath to give up Halloween for any reason. It’s my favorite holiday, and I usually spend it scaring the crap out of kids in my neighorhood…a much-loved pastime. But this year when Jennie proposed we do FRANK on Halloween and finally do that Poison menu we’ve been tossing around, I figured it was time. Our friend Stephanie Casey, who has a cool blog called Real Fine Food, came to FRANK on Halloween night to photograph the meal live and blitz it to our Facebook page, so most of the images you’ll see on this page were taken by her. We’re so busy cooking and plating and serving and educating our guests that we scarcely have time to take photos, so thanks, Stephanie, for helping out! We welcomed our guests with a champagne cocktail…champagne, of course, containing alcohol, which everyone knows is poisonous. However, we added a little extra something into the champagne to make it EXTRA toxic! Elderflower liqueur. Elderflowers come from the elderberry plant, which is a big shrubby bush famous for both its flowers and its fruit. 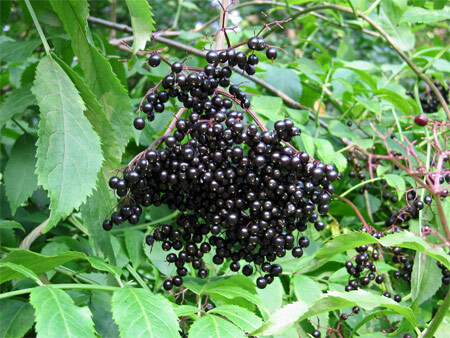 Every part of the elderberry plant contains toxic levels of cyanide EXCEPT for the flowers. Once the flowers have turned into berries, the berries themselves are poisonous…however, cyanide breaks down in the presence of heat, or through the process of fermentation. Which is why you can safely drink elderberry wine or jam. The flowers, however, are pristine and safe and are often made into popular beverages in Europe and other parts of the world. Incidentally, elderberry has been shown in several lab tests to be highly effective against several virulent strains of influenza! I’m not sure if our cocktail would cure the flu, but it was ghoulishly delicious! Next up was the welcome bite, or amuse bouche, which was a housemade green potato chip with black garlic, creme fraiche, and microbasil. Potatoes are a member of the nightshade family, just like tomatoes, eggplant, peppers, etc. Virtually ALL nightshades are poisonous, but the edible nightshades only have poisonous leaves, stems, and roots. They produce a toxin called solanine that is intended to keep predators from eating the growing parts of the plant, instead offering their tempting, poison-free fruit so that its seeds will be carried away to perpetuate itself. This is why you can’t safely eat raw tomato or potato leaves…but the fruit is just fine. Potatoes aren’t technically fruit, they’re a tuber and live below the ground with the roots. So they are safe to eat. However…if a potato gets unearthed and lays on top of the soil, exposed to sunlight, it begins an internal process to change itself into a full-blown potato vine. Two things happen immediately: it begins to produce chlorophyll beneath its skin (that green substance that gives leaves their color), and it begins to produce solanine (that poison that will prevent a passing animal from eating it, so it can fulfill its job of perpetuating life). Ever seen a green-skinned potato in the grocery store, or pulled a green chip out of a bag? 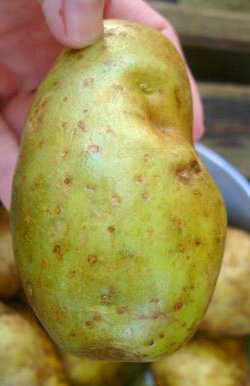 This is a poisonous potato! Luckily, solanine breaks down in the presence of heat, just like cyanide does, so green potatoes can be made safe by cooking. (Though the solanine, if it has built up to a high level, can result in a bitter taste, even after cooking.) We intentionally exposed our potatoes to sunlight for a week to develop the color, then we fried them to make them safe to eat. We topped the chips with black garlic, which is just ordinary garlic that has been fermented for a month or longer at high temperatures (above 90F), so that all the complex sugars in the garlic break down into potently flavorful compounds that also turn the garlic clove jet black. Black garlic is like nothing you’ve EVER tasted before. Pungent, incredibly sweet, dark, and so complex your brain will go crazy trying to decipher it. Like garlic, it is poisonous in massive quantities, but we’ll discuss that when we get to the soup course! These little bites were very popular, some folks came around begging for a second…or third! Green potato chip, black garlic, creme fraiche, microbasil. Photo courtesy of Stephanie Casey. For our salad course, we started with a base of baby and wild greens. The baby greens were grown by our friend Tom Spicer of Spiceman’s FM 1410, who purveys incredible greens, herbs, and wild ingredients like foraged mushrooms. He sells to the public, and if you’ve never been by his place near Lower Greenville, you’ve missed out on a Dallas institution. 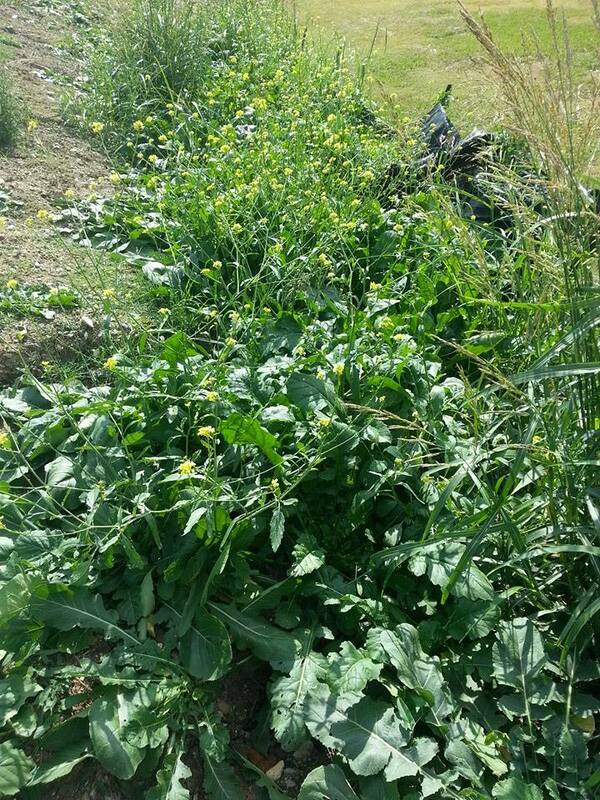 The wild greens we foraged near my house in Lewisville…I stumbled across a prolific patch of wild mustard growing in an empty lot next to a subdivision, and I foraged the leaves and flowers. Mustard contains a compound called erucic acid, which is the irritant that makes the back of your nose burn when you eat mustard greens or prepared mustard. (Same compound in horseradish and wasabi.) This acid is also used to make chemical-grade weapons and mustard gas! So it’s definitely poisonous. However, like many toxic foods, we enjoy them specifically for their poisonous qualities. Mustard is one of the most common weeds around North America…it grows wild everywhere, it’s delicious, and it’s incredibly good for you. In moderation, of course! Most people cook mustard greens, but I also love them raw, and they really jazz up a salad. The dressing for the salad was a rhubarb and tangerine vinaigrette. 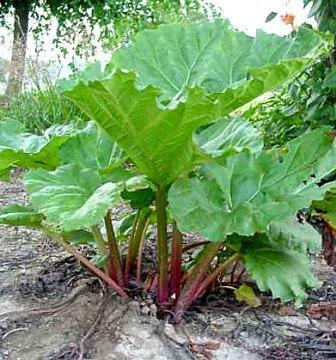 Most folks know that rhubarb is poisonous. The plant contains a toxin called oxalic acid, that has a very tart flavor (like all acids!) and can be deadly in enough quantity. Oxalic acid is concentrated in the leaves of the rhubarb plant, which means the stem is safe to eat either raw or cooked, but you must always trim away and discard the leaves. (You’d have to eat 20-30 pounds of leaves in a sitting to kill yourself, which isn’t likely.) Rhubarb stems are still high in other acids, which explains why they are so tart, and they make a fabulous dressing. 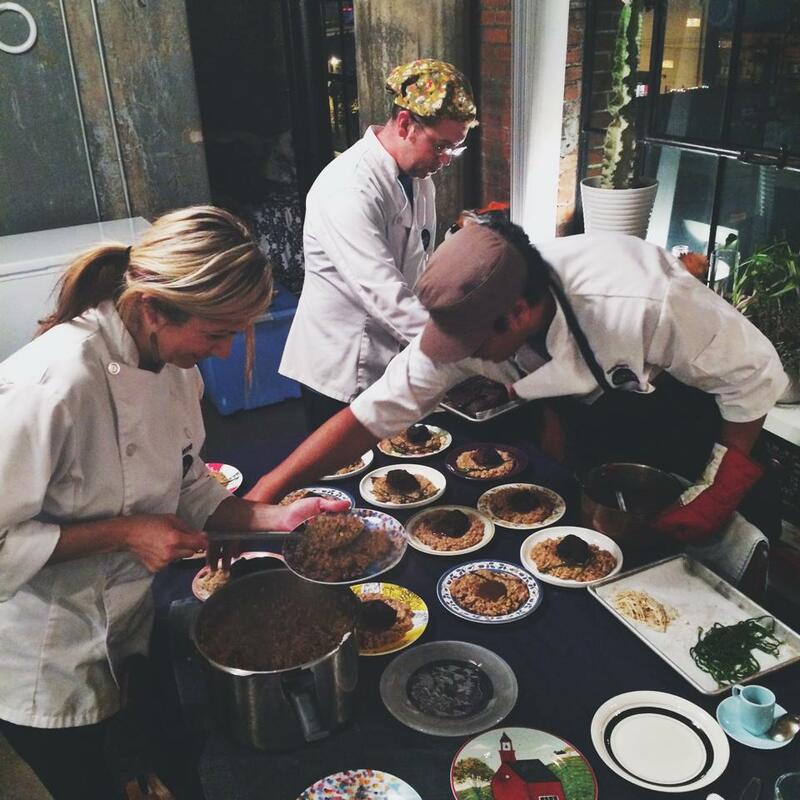 The greens were topped with a crumble of cassava, which is a root that is commonly eaten all around the world. It goes by many names, some of which you’ll be familiar with: manioc, yuca, tapioca, casabe… And it’s deadly poisonous. At least before being treated to remove the lethal levels of cyanide that exist in the root. Many cattle are killed each year by eating unearthed cassava roots. But, as we’ve mentioned, cyanide breaks down when you heat it or ferment it, or even dehydrate it. 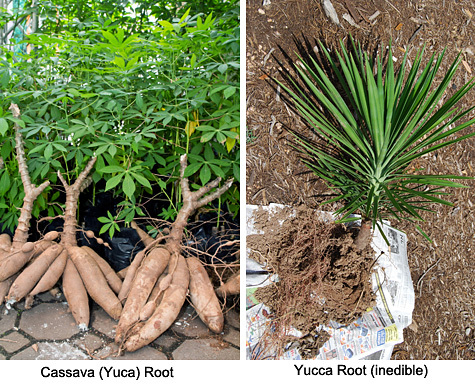 So cassava root can be made safely edible by a number of means, and it is an incredibly important source of nutrients for many people in the developing world. As a side note, in the US it’s very common to eat at Latin or Central American restaurants and see “Yucca” on the menu. This is a misspelling that has led many Americans to think that the spiny desert plant that is very common as an ornamental in this country, called Yucca, to be the source of the delicious, fluffy root that makes such incredible fries. Not so! The root of the yucca plant is too fibrous to eat. Those menus are misspelled, you’re actually eating Yuca, or Cassava, which you can see in this photo looks nothing like spiny yucca plants! Eggplants come in so many amazing varieties! Beneath the salad was a bed of pickled eggplant. 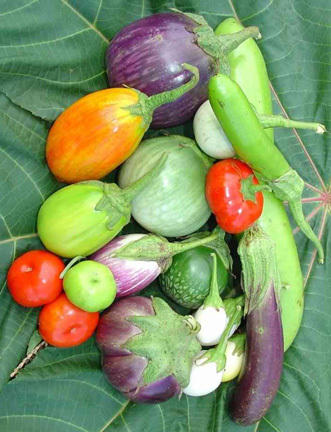 Eggplants are in the nightshade family but the fruit is safe to eat. In the old days, though, eggplant was very bitter and had to be salted to extract the liquids from its spongy fruit, which contained solanine. Modern eggplants have been selectively bred to reduce the amount of solanine in the fruit, so we can safely eat eggplant raw…though I’m not sure why you’d want to! Pickled eggplant is very popular in Italy, but is almost unheard of here. 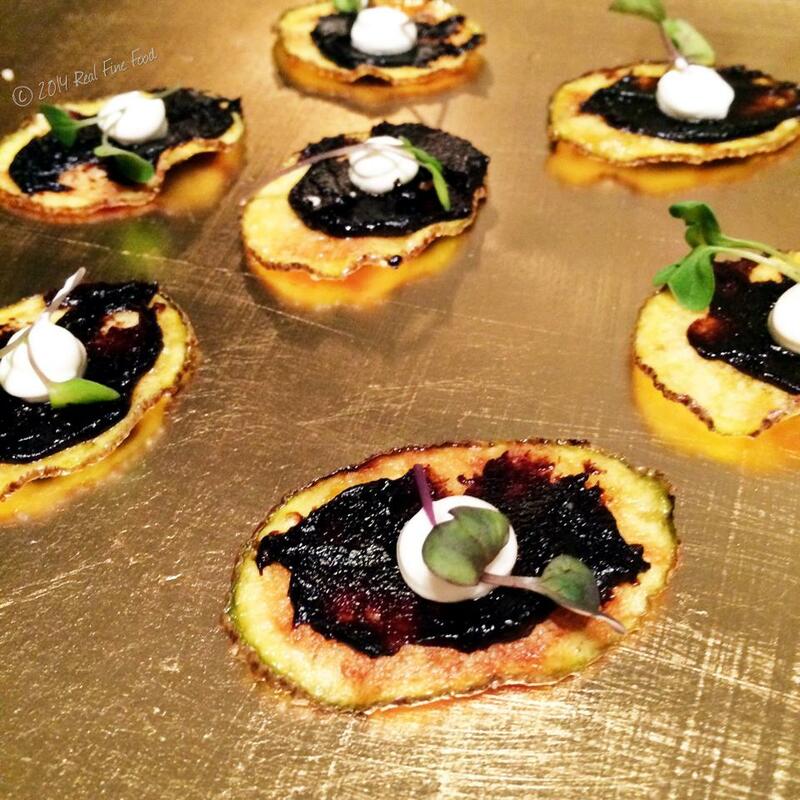 Chef Adrien decided to prepare it this way to surprise our guests, and even those who typically hate eggplant devoured it pickled! While most grocery stores carry only one, maybe two, types of eggplant, there are many dozens of varieties, some of which are red, white, even striped and speckled. The star of the plate, though…was a frog leg. Frogs and toads are poisonous creatures. Ever seen your dog try to eat a toad, and then spit it back out and stick his tongue in the air repeatedly? Virtually all frogs and toads have glands in their skin that produce toxic alkaloids to protect themselves from predators. Some species are deadly to humans even in very small amounts. The golden dart frog of Colombia is one of the most deadly creatures on the planet! Luckily, the poison remains entirely in the skin, and the meat beneath is delectable. Lots of our diners had never eaten frog and were very nervous about it, but I encouraged everyone to taste just a bite. And not a single frog leg came back uneaten out of 7 dinners! Frog is DELICIOUS, especially the way Chef Adrien prepared it…brined in a heavily spiced buttermilk for 4 hours, then pan seared to crisp, perched on a puree of red bell pepper (also a nightshade) and blanched garlic. It won quite a few votes as favorite course, especially from people who had never eaten frog before. During prep at FRANK we play a game called “Either/Or.” Bob Dylan or Neil Young? Beer or Wine? Seattle or Portland? Potato and Leek or Potato and Chive? That last one got us all arguing about whether the flavors of leek or chive are a better match for potato. So when conceiving our soup, there was considerable consternation about whether it should be potato leek, or potato chive. Eventually we all compromised and did both! All members of the allium family (garlic, onions, leeks, etc.) contain a compound called allicin, which in moderate doses is incredibly good for us. It lowers our blood pressure and cholesterol. It has anti-cancer properties. But in extremely high doses, allicin can actually cause genetic mutation, which is of concern for cancer and reproduction. This discovery was made in 2003 and published by the National Institute of Health. So the moral of the story is…eat lots of garlic, but don’t eat pounds of it raw every day! 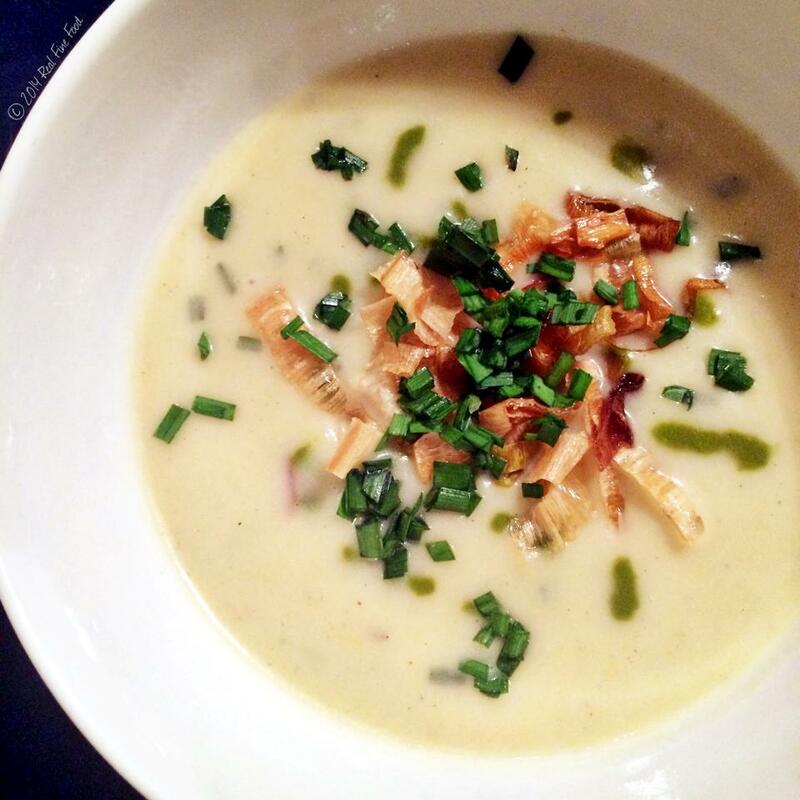 Potato, leek, chive soup with country ham, crispy leeks, and tomato leaf gastrique. Photo courtesy of Stephanie Casey. For the sorbet course, we all knew immediately what we’d have to do. Absinthe! For those who aren’t familiar with absinthe, it’s a very old type of liqueur that, in its traditional form, contains an extraction of the plant wormwood, or artemesia absinthum…from which the liquor takes its name. 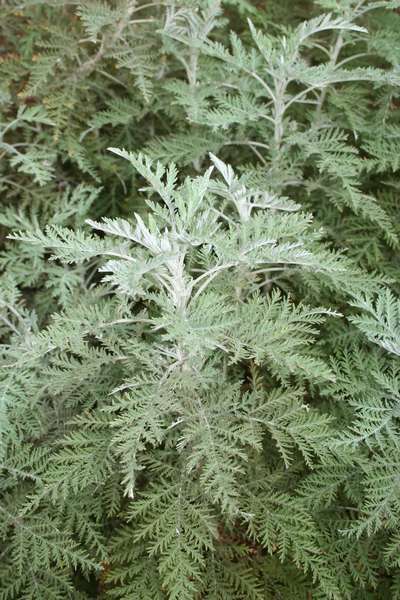 Wormwood was used for millenia by primitive cultures to cleanse their bodies of parasites, because the plant contains a toxin called thujone. Overdosing on thujone causes potent hallucinations, so the plant was deliberately used as a drug starting in ancient Greece, and became very popular in France and Switzerland in the 1800s. Much loved by creative folks, absinthe was known as “the poet’s third eye” and was celebrated by such artistic powerhouses as Rimbaud, Degas, Hemingway, Wilde, and Van Gogh. The tricky part about drinking an alcohol that contains an additional poison, though, is in controlling the dosage…and excessive alcohol consumption can remove that internal self-protection instinct we have, so absinthe (and thus thujone) overdoses were very common. In higher doses, thujone causes temporary insanity. Van Gogh cut off his own ear during an absinthe-induced fit of madness. And in high enough doses, thujone causes death. This is why absinthe was banned by virtually every developed nation in the world in the early 1900s, and remains banned, in its traditional form, even today. Yes, I know you can go to the liquor store and buy a bottle of something labeled “absinthe.” But it’s not real. By law, absinthe in the US cannot contain any traceable amount of thujone…meaning it cannot be made with wormwood, or artemisia absinthum, which is the very plant that gives the liquor its name. So buy and drink all the absinthe you want…you’ll never see the mythical green fairy, or feel the need to cut off your ear. Luckily, someone in the FRANK team has been making real absinthe at home for a decade, so our diners were actually able to taste true, authentic absinthe, for what may be the only time in their lives! Not enough to cause fits of madness, of course. Real absinthe is actually VERY hard to drink. Thujone is intensely bitter…and that adjective was the most common way our diners described the taste. “INTENSE!” Those who have palates that are very sensitive to bitterness typically only ate a bite or two. But the majority devoured every last bit of the sorbet, relishing the assault on their palates. 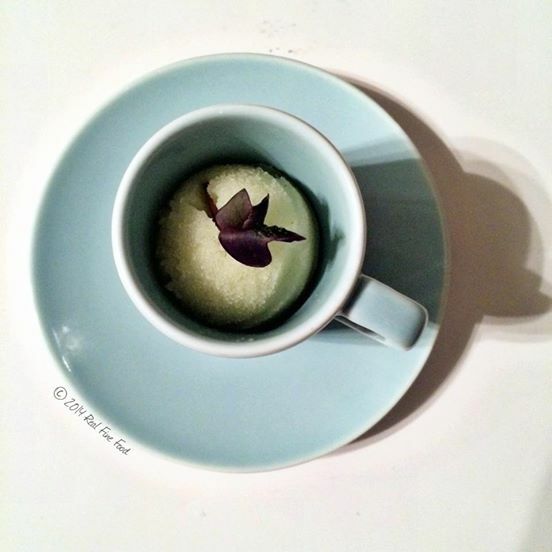 REAL absinthe sorbet, with pear nectar and microbasil. Photo courtesy of Stephanie Casey. When most people think of toxic foods, they immediately think of wild mushrooms. Growing up, your mom always screamed at you when you bent down to look at a toadstool. Americans are the most fungaphobic culture on the planet. We are absolutely TERRIFIED of any mushroom that’s not in the grocery store. Which is both good and bad. 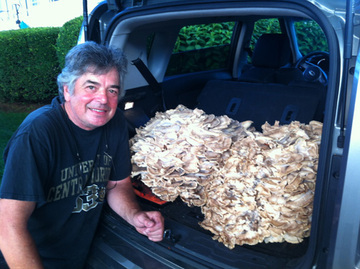 Truthfully, there are only a small handful of wild mushrooms that are lethal. But eat the wrong one, and unless you get a liver transplant within 6 hours, no medicine in the world can keep you alive. So wild mushrooms should always be treated with respect. But if you accurately identify an edible wild mushroom, there’s ZERO danger in eating it. 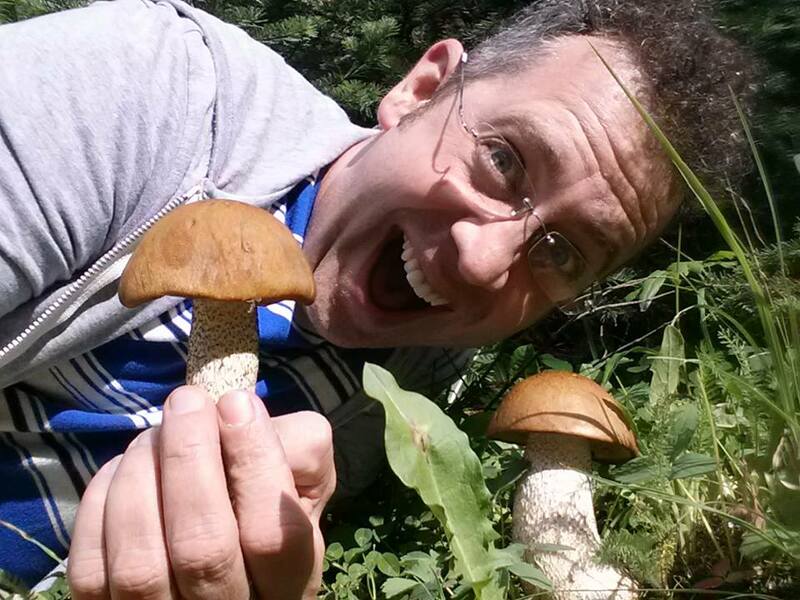 I’ve been rabidly foraging and devouring wild mushrooms for many years, and have never been made sick, because I will NOT eat a mushroom that I can’t absolutely, positively identify. If there’s any question at all, it goes in the trash. Identification comes through education, and I had a fan on my Facebook page chastise me this weekend for posting photos of myself foraging wild mushrooms, saying her friend’s daughter died of wild mushroom poisoning and I shouldn’t be promoting it. I couldn’t disagree more…education is what will PREVENT mushroom poisonings. When we stay in the dark about it, we don’t have the knowledge to know what is safe and what isn’t. So if you’re interested in wild mushrooms, join a local mycology club, or get yourself a box full of mushroom field guides, and get out there after it rains. You’ll be amazed at what you find! 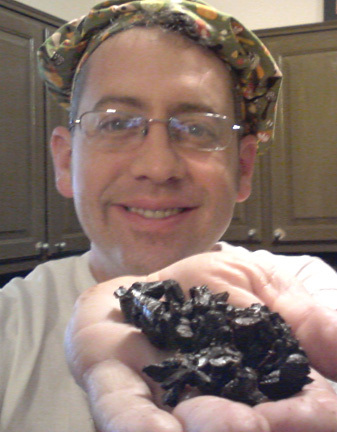 We rubbed the beef with the two most popular toxic ingredients in America: chocolate and coffee. And yes…they are both poisonous. Chocolate contains a toxic alkaloid called theobromine, which is poisonous to humans in large quantities, just as it’s poisonous to dogs and cats. You’d have to eat about 80 pounds of dark chocolate to ingest enough theobromine to actually kill yourself (if you weigh around 180 pounds), but theobromine poisoning is a very real concern, particularly for the elderly. Death by Chocolate is a real thing! Coffee contains another toxic alkaloid that many of us are actually addicted to…called caffeine. In small doses, doctors tell us that caffeine is good for us, stimulating our metabolism, keeping us active, and improving our cardiovascular system. But in higher doses, it will kill you dead. Swallow a bottle of caffeine pills and if you don’t get your stomach pumped, you’ll be spending the night in the morgue. Of course, you’d have to drink 80-100 shots of espresso over a few hours to kill yourself with coffee, and I’m not sure ANYONE can handle that much! But coffee and chocolate go absolutely swimmingly with beef, and after searing our short rib to a dark crust, we braised it in red wine with coffee, cocoa, and veggies for 4 hours at low temp until it was fork tender, but still cohesive enough to not fall apart when taking it out of the pot. Then we crisped it under the broiler with more of our coffee/cocoa rub before serving it. Perched atop the beef were tiny, delicate enoki mushrooms and wild mustard flowers, and around the plate were pungent garlic blossoms…one of my favorite wild ingredients. 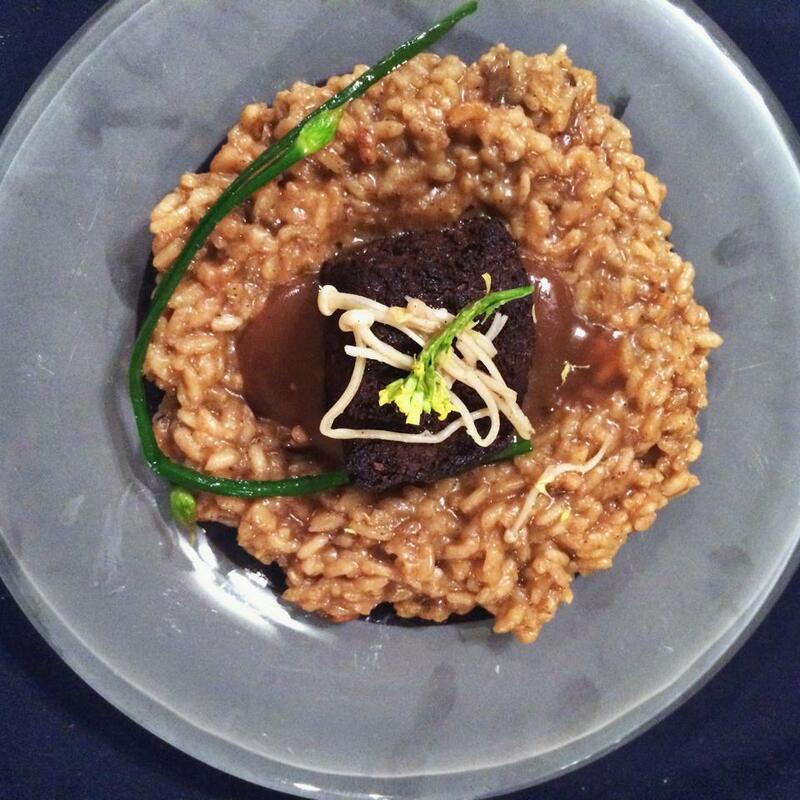 Wild mushroom risotto with Beeman Ranch Akaushi short rib, wild mustard flowers and wild garlic buds. Photo courtesy of Stephanie Casey. 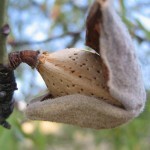 The almond fruit (a relative of peaches and apricots), dried and peeled back to reveal the pit, inside of which is the poisonous almond kernel...the part we eat. The nutmeg fruit, with the red, lacy mace visible surrounding the nutmeg seed. 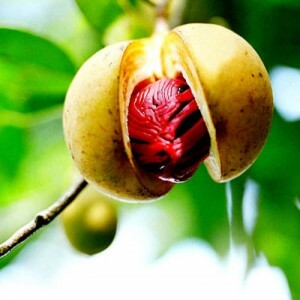 Nutmeg is the seed of an evergreen fruit tree from the tropics. Upon maturity, the fruit splits open, revealing the nutmeg seed wrapped in a lacy red membrane which is ground the make the spice mace. (NOT related to mace spray.) Nutmeg contains a toxin called myristicin that, in fairly small doses, causes hallucination. It is still a traditional and popular cultural hallucinogen in Indonesia and India, and for awhile in the 70s, it was explored by the counter culture crowd here in the US. (It’s side effects are nausea, headaches and body pain, though, so it’s not a “fun” drug.) In slightly higher doses, it can cause miscarriage, so use nutmeg sparingly if you are pregnant. In high enough doses, it can kill. Luckily, nutmeg is VERY pungent, and a little goes a very long way! 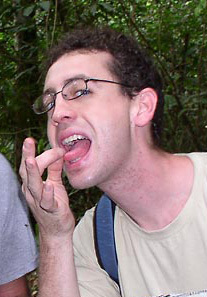 I’ve eaten all sorts of insects in my travels, and ants are among the most accessible. They are crunchy, earthy/woody, and a little bit spicy. 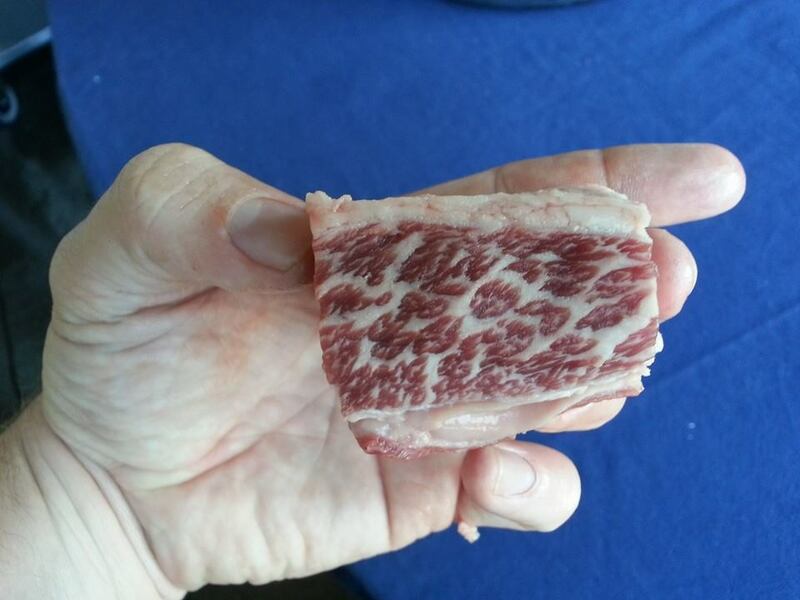 There’s no weird texture to get around…they’re just delicious if you can get past the mental block. Ants contain formic acid, the poison that burns when an ant stings you. In the mouth, though, that just translates to a bit of a peppery flavor. 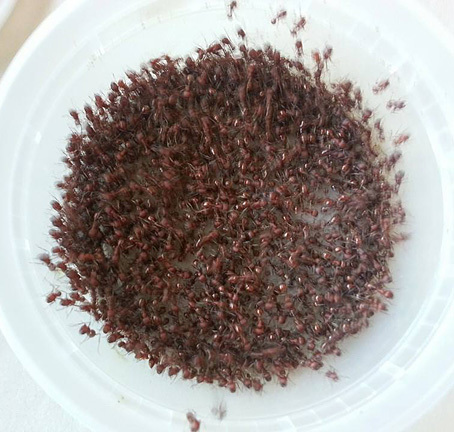 We ordered our ants from Life Studies Farm in Utah, who normally sell them to supply children’s ant farms, or for people who keep lizards as pets and need to feed them. They were a bit puzzled when I asked for a thousand ants to use at my restaurant, but they sent them anyway! They arrived through the mail a day later, bustling and angry! To humanely dispatch the ants, they went into the freezer for an hour, then into the microwave for a minute. (One of the only things we use the microwave for at FRANK, other than warming plates.) After this, they were ready to be coated in dark chocolate! 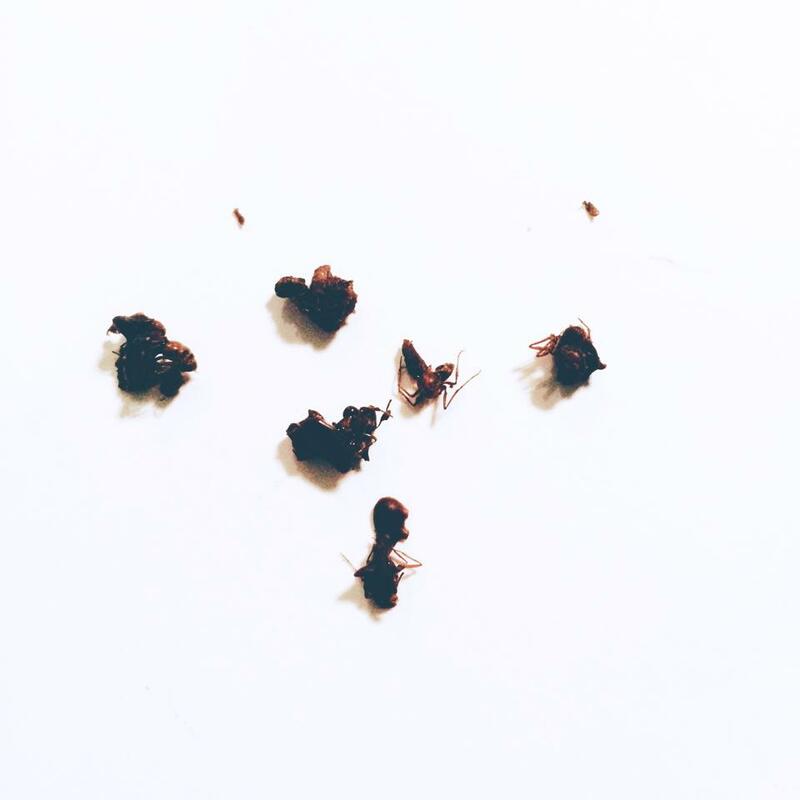 The only legitimate recipes you’ll find on the internet for chocolate covered ants are for chocolate candies with ants on the inside, sort of like nuts. This is because it’s exhausting to make individual chocolate covered ants! But we love our diners at FRANK, so we did it for them! 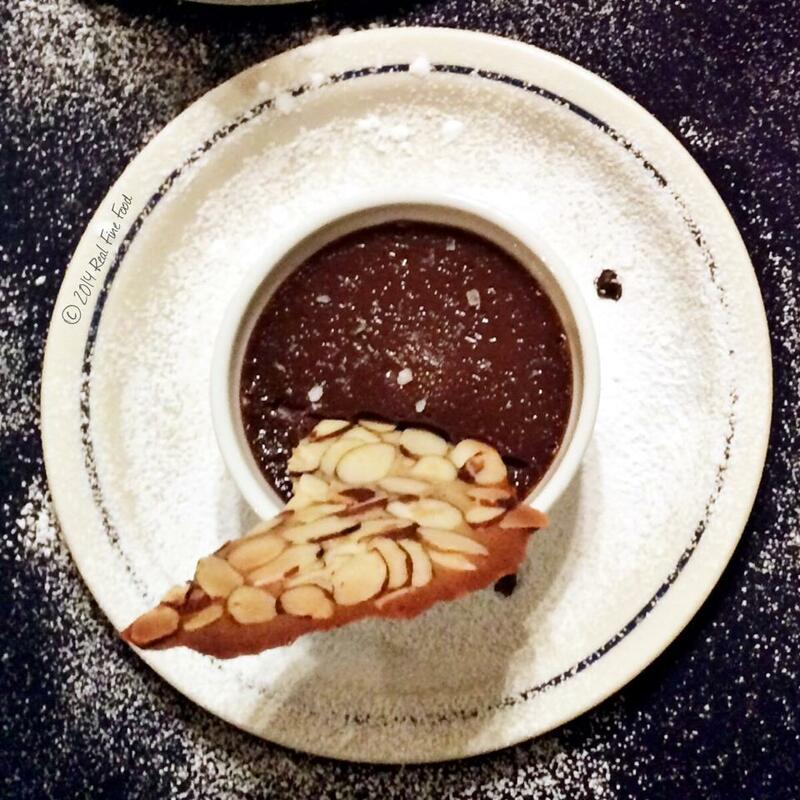 The dessert was a huge hit…some of our regulars said it was the yummiest dessert they’ve had at FRANK. Some were leery of eating the ants. Some asked for extra ants. One regular said he’d eat them by the handful if they were commercially produced! Overall, this was probably the most fun menu we’ve put out in the 2 and a half year history of FRANK. Our diners got a real kick out of eating all the poisonous foods, learning that some of their favorite foods were poisonous, and daring each other to eat frogs and ants. Many of our regulars said that, poison and bugs aside, it was the most delicious and cohesive menu they’ve had at FRANK before, which was a true honor to hear. I spent more time at the table, discussing and educating, than I’ve EVER spent at a FRANK before. It was great fun, thanks to all our brave diners! 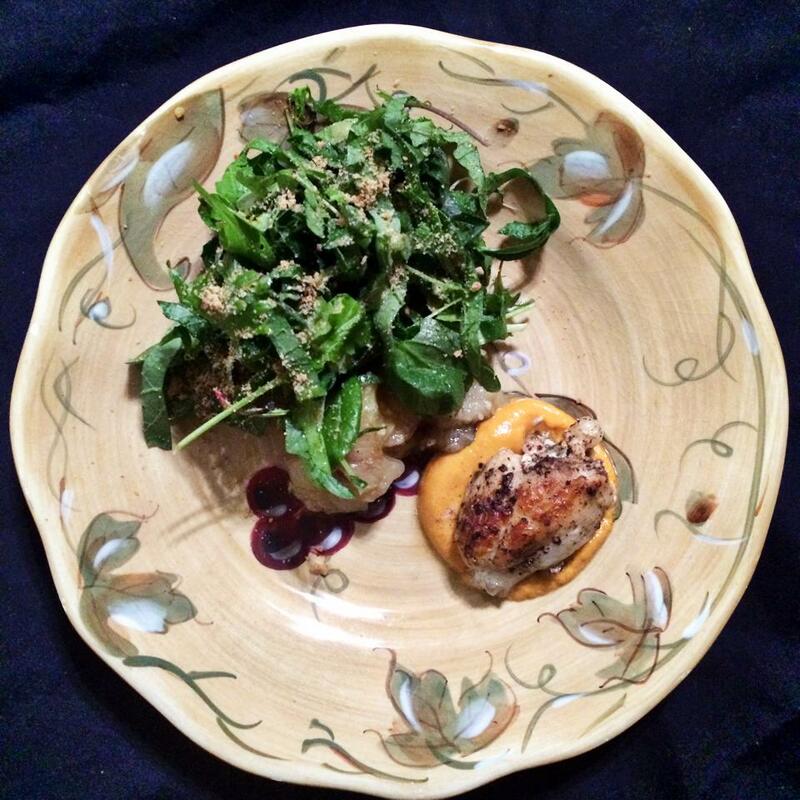 Follow Stephanie Casey with Real Fine Food on Instagram and Facebook! And thanks, Stephanie, for helping our fans experience the dinner in real time on our social media! This entry was posted in Blog, FRANK and tagged absinthe, are ants edible, best restaurant, chocolate covered ants, Dallas, Frank, frog, frog legs, green potato, how to make chocolate covered ants, nightshade, poison, poisonous, poisonous foods, solanine, thujone, toxic, underground restaurant, wormwood. Bookmark the permalink. 16 Responses to A FRANK Tale: Poison! Recoveries of CHA and SOL from raw potatoes were 96.5 and 98.2%, respectively, vs. 96.2 and 96.7% from cooked potatoes. >93.9% of CHA and 95.9% of SOL remained in potatoes after boiling. Contents of both were reduced by 15% on microwave treatment. On deep-frying alkaloid contents varied according to temperature. At 157°C, both alkaloids were unaffected; at 170°, potatoes showed a large variation in residual alkaloids. At 210°, alkaloids were partially decomposed; after 10 min heating, 64.9% of CHA and 59.7% of SOL remained. It is suggested that the critical temperature for decomposition of both alkaloids in potatoes may be around 170°. Results confirmed the relatively high stability of CHA and SOL in potatoes under normal home cooking conditions. Note that the temperatures in this study were measured as celsius, not fahrenheit, which would’ve been about double what they are in this study. I hope you’ll edit your article to reflect these facts so that people aren’t hurt. I know you wouldn’t want that to happen. Kelly, the article you cite is 27 years old. Any cursory internet search will reveal contemporary information…glycoalkaloids (like Solanine) begin to break down when cooked above 300F. Not entirely, of course! But virtually all modern vegetables contain such low levels of solanine to begin with that even without ANY cooking, solanine levels are low enough to not pose a toxicity threat to humans unless consumed in vast quantities. I consume considerable amounts of tomato leaves each year, which have a much higher solanine concentration than potatoes, with no ill effect because I cook them. There is precious little data on toxic/lethal dosage of solanine out there…because solanine poisoning is simply INCREDIBLY rare. Just because the study is old doesn’t invalidate it. Besides, 27 years is ‘only’ 1990. The rest of your reply is loaded with assumptions. You don’t know that solanine levels are low enough to not pose toxicity in ALL humans. Some are clearly more sensitive than others. Just because you consume tomato levels without ill effect doesn’t mean others will experience the same results. The other day we had a garlic rice dish at home and I just had to tell you the story. The rice is steamed with PLENTY of garlic and herbs and makes the entire house smell of garlic. Anyway, I had so much garlic that I started to feel very light headed and I immediately thought about your blog post about garlic being poisonous. I was literally seeing Starrs. I asked my mum about it and she told me the cure is to take a tablespoon of “robeh anar”, Persian for Pomegranate Molasses. So if any of your diners or yourself ever overdose on garlic, a tablespoon of the sour syrup with fix them right up. Love this post! Thought you might enjoy the one we did as well at our house – nothing poisonous but still foraged! Really fascinating. There should be a FRANK TV show. 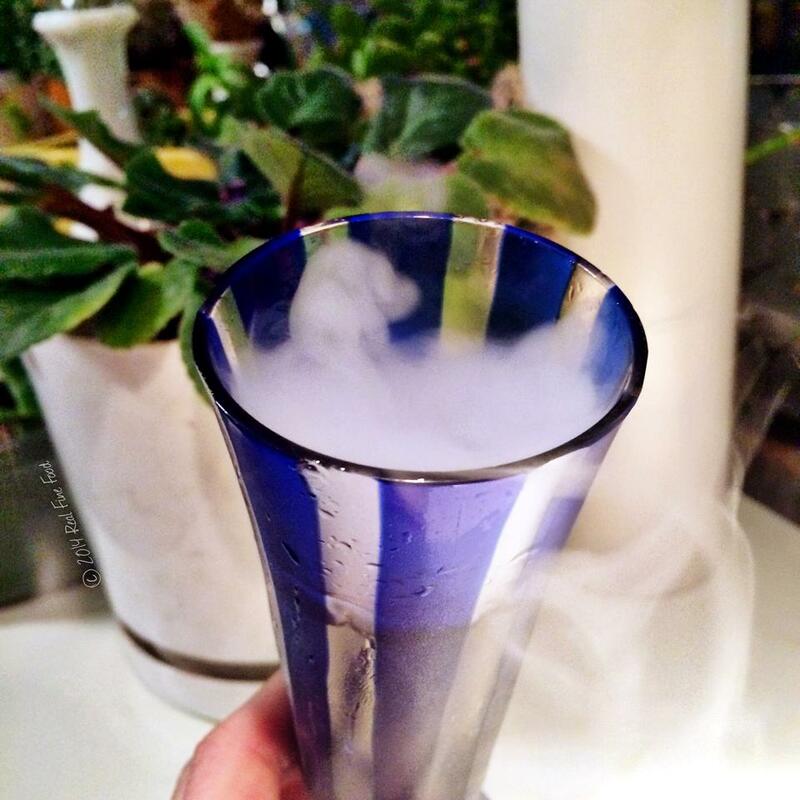 Amazing you made absinthe sorbet from real absinthe! I wish I could show you the mushrooms I had for a few months. They really look like pizzas. Is it possible to post pictures on your site?